What are you to do on Mothering Sunday if you have no mother? My mother died in 2005 and each year I confront this troubling question when the annual celebration comes around. All over the city in recent weeks, I have encountered cards and gifts for Mothering Sunday, exploiting the commercial potential of this medieval Lenten festival which, like St Valentine’s Day and Halloween, has been commodified into a retail opportunity. If I was religious I might light a candle or lay flowers on a grave, yet neither of these is an acceptable option for me. Contemplating displays in shop windows, I deliberate privately over the tender question as my sense of loss deepens in the approach to Mothering Sunday, only for it to dissipate afterwards. This uneasy resolution brings no peace, serving to remind me how much I miss her. It is a feeling which grows with each Mothering Sunday that passes, as the distance in time that separates us increases and the memories fade. I do not expect or wish to ‘get over it,’ I seek to live in peace with my sadness. I wish she could see where I live now and I could share the joys of my life with her. I have a frustrated instinct to communicate delights, still identifying sights and experiences that I know she would enjoy. My picture of her has changed. The painful experience of her final years when she was reduced to helpless paralysis by the onset of dementia has been supplanted by a string of fragmentary images from my childhood – especially of returning from school on summer afternoons and discovering her at work in her garden. I think of how she raised her head when she smiled, tossing her hair in assertion of a frail optimism. ‘Not too bad, thank you!’ she is admitting, lifting her head to the light and assuming a confident smile with a flash of her eyes. This was her default answer to any enquiry into her wellbeing – whether it was a routine or genuine question – and she maintained it through the years, irrespective of actual circumstances. When life was smooth, it was a modest understatement and when troubles beset her, it was a discreet expression of personal resilience. For her, it was a phrase capable of infinite nuance and I do not believe she ever said it in the same way. Yet although I could always appreciate the emotional reality that lay behind her words, I think for everyone but me and my father it was an opaque statement which efficiently closed the line of enquiry, shielding her private self from any probing conversation. From her I learnt the value of maintaining equanimity and keeping a sense of proportion, whatever life brings. I realise that I was lucky to have a mother who taught me to read before I started school at four years old. 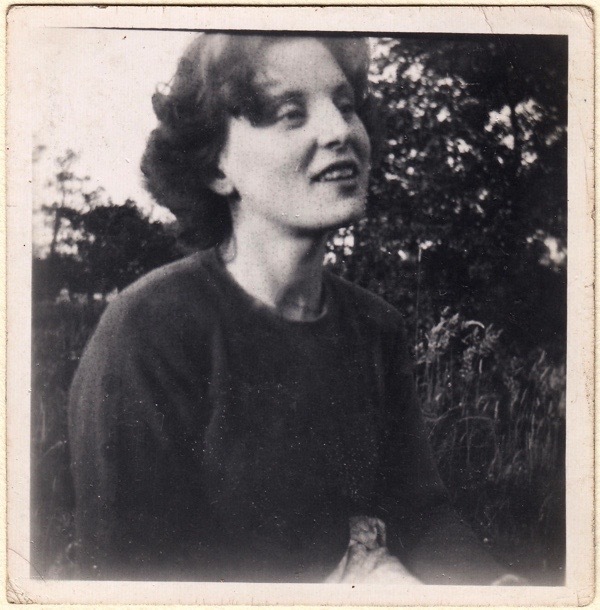 Denied the possibility of a university education herself, she encouraged me to fulfil her own thwarted ambitions and – perhaps more than I appreciate – I owe my life as a writer to her. Yet there is so much I could say about my mother that it is almost impossible to write anything. I recognise that the truth of what she means to me is in a region of emotion that is beyond language, but I do know that what she was is part of who I am today. Increasingly, I am aware that many of those around me also share this situation of no longer having mothers. Perhaps I should buy them all flowers this Mothering Sunday? Certainly if anyone enquires, I shall reply ‘Not too bad, thank you!’ with a smile and raise my head. In that moment, I shall conjure her robust spirit from deep inside me and she will be present, in my demeanour and in my words, this Mothering Sunday. A beautiful tribute to your mum! We walk in the same shoes. Especially in spring, when the primroses appear – look, Mum, they are out already and there are so many bluebell leaves. They will be in flower soon as well. Then the blossom falls to the ground, and I remember her smile. I do not expect or wish to ‘get over it,’ I seek to live in peace with my sadness. How beautiful a true inner Sikh joy of love. I am also without a Mother to share this day with. Very poignant, very true. She is with you always, including today. Especially today. Thank you for expressing so beautifully your feelings on Mothering Sunday. As a Christian priest, I realise each year what a difficult day this is for so many people, not just those, like myself, who have lost their mothers. We need to think today about those who have lost children, those who have never been able to have children, those who have never married, those who have had abortions and those who are losing their mothers to dementia or other serious illness. There are also those who have never had a loving supportive relationship with their mother. The list goes on and on and leaves a minority’s who can wholeheartedly celebrate today. So you are not alone in finding today difficult. A beautiful intelligent face. Carrying her with you is worth so much more that a card. Loss is a heavy lonely load lightened only when those very personal fireworks are triggered by unexpected memories that light up an ordinary day. Memories are the glue that keep them close. Not being able to share new lives with lost loves is an enduring pain. My daughter is cooking me a lunch today. Putting down her exam led pen for me. My son bubblewrapped in birthday joy so he may forget what we agree is an unholy commercial fest. My mum, still perky in her 70s is off to Amsterdam to see an exhibition. Thank you for referring to today as Mothering Sunday, I find the increasing use of ‘Mothers Day’ very unpleasant. Your piece was a lovely tribute to your mother and I understand so well about missing her, I miss mine too. A really wonderful tribute to your Mum. I too, lost my mother to dementia nearly two years ago and have a complete disconnect with the commercialisation and hi jacking of days like these. Thank you so much for the tender descriptions of your relationship with her. There is so much I want to say but mere words seldom seem enough to express my deep feelings, although you have managed, in a few sentences to ameliorate that. Thanks again for such a heartfelt post. What a lovely tribute to your relationship with your mother – you were obviously very close to her and must miss her terribly. I am lucky enough to still have my mother (90 this year!) who is still very much with it and still does crosswords and codeword puzzles every day, runs a winter bridge tournament and plays a mean hand at bezique. However she does find some techie aspects of modern life a bit stressful, and refuses to even look at a computer which is a bit frustrating as she could have a lovely time googling all the things she is interested in like family history. Like your mother she is happiest when working out in the garden where making bonfires are her speciality, and like your mother she also hates cooking so I am just going out now to get the ingredients to make her the trad Mother’s Day lunch of roast chicken. What a beautiful woman and what a moving tribute to your mother. Thank you for this beautiful and evocative piece. You have articulated my feelings about mother’s day wonderfully – as I am sure you have for many more of your readers. A Simply beautiful post for Mothering Sunday. Hoping that the collective affection you are held in by your readers will be of some small comfort to you ….. as you reflect and remember your mother today. A very moving tribute to your mother, and one that honours her in just the way you have been searching to. She would have been very proud of you. GA, what a lovely portrait you paint of Mum. You were so fortunate. Nothing can replace that sense of confidence and security that the love of a good mother provides us for life. From New York, as always thank you – from me and my mother who is also the reason why I write. There is no better way to celebrate your mother than to remember her as she was at her best. Just had to say thank you for this wonderful tribute to your Mum, and for sharing your innermost thoughts and feelings. It truly resonated with me as my mum was only 53 when she died. I know so well that “Mum would love this” thought that strikes at happy moments that I wish she was still here to enjoy with me 30 years on. Really beautiful and touching. Thank you for sharing this remembrance. It’s perfect, and your Mom no doubt is very proud of you and smiling down on you! Your Mom reminds me a bit of my own mother, in her encouragement, ability to be polite and kind, yet set up appropriate boundaries of inquiry without being offensive to anyone. My sympathies to you on this day of remembrance. I sometimes look at the “Mother’s Day” and “father’s day” commercialism we have in the U.S. and am actually at peace knowing that I no longer have to give in to, or “fall” into that artificial forced appreciation for my parents, who are long passed….I appreciate them every day in my heart, memory and spirit. Your work is a tribute to all your parents put into you!! Thank you for sharing those memories of your beautiful mother. Mothers are irreplaceable and go with us throughout our lives as you have found out. Please note that my email address has changed and is now with Yahoo rather than Google. I was very moved by your post, which encouraged me to sit for a while thinking of my own interesting mother who died in 1999, her final years blighted by an onset of mental turmoil. A tragedy for my father, who survived her by 10 years. I miss them both. Thank you for allowing us to see her lovely face and to share your immense feelings for her which have touched us all …. with tears no doubt. Thank you Suresh and Janet and Rev Claire Scargill for being kindred spirits in recognising this sentiment as so admirable when we are blindly told to ‘move on’ or ‘not dwell.’ No individual can deal with emotion in exactly the same manner as any other. The ‘stiff upper lip’ denial may be the chief cause of later meltdowns. l cut off from anyone who will not allow me my own unique sentiments regarding grief or loss. l lost my own mum to acute dementia and my soulmate without warning at 42 at exactly the same. Overwhelming. I am not a mum to children. I adore children and have been an adorable mum to my beloved pets instead. The responsiblity of giving them a comfortable, happy life has enriched my own tenfold. How comforting to read of such a mutually enriching love between mother and son. Your writings and your Gentle Readers’ responses always positively shift and change my sometimes stuck emotions, even if l feel melancholy at first, there follows a sense of release and contentment. Valerie has left an invaluable legacy in your gift to all of us. Thankyou for your beautiful and eloquent tribute to your Mother, how blessed you were to have been raised by such a supportive person. Your words made me feel very wistful for what was lacking in my relationship with my own mother who was loving but always the “little girl” in our family. I always think of the saying that I came across after my mother died and remember it today; ‘never say in grief she is no more but only say in thankfulness she was.’ It sums up my feelings today so very well. I do miss my mother but I never feel that I got close to her in any way whatsoever which is sad, she could indeed be very difficult, but my husband and my son loved her so perhaps the fault was mine, I admire her enormously and am extremely proud of her, but it was always my father who held the key to my heart. I also remember today my friend who lost all three of her children, the adorable beautiful Sharon who died before she was three, a baby, Tina, who died very soon after birth and Niall who died in a motor bike accident in his twenties. How anyone copes with such grief I shall never know but my friend is much in my thoughts today which is a day of mixed emotions for many of us as well as for you GA I am sure your mother would be very proud of you and you did your very best for her, never forget that. I agree absolutely about the commercialization of the day, it is Mothering Sunday for me too as it always has been. A lovely, thoughtful tribute to your Mother. Your tribute is touching and poignant. Do not forget; you share fifty percent of your mother’s genome. She is and will always be so proud of you and loves you more deeply than you will know. She lives on in you. Here is to you, GA, and all of us left motherless. May their memories be a blessing. I have just lost my mother so am feeling her loss and the sentiments around Mothering Sunday accutely. I think Claire Scargill sums up the occasion beautifully. I read and enjoy all your wonderful posts, but this one actually brought me to tears – your writing is so evocative – you really brought your mother alive for me. What a wonderful memorial. I was particularly struck by the tendency of our parents’ generation to minimise complaints and to always confirm that they were fine – that need to make others feel at ease. Thank you once again, and please be assured that you make so many people happy with your wonderful blog, which I always recommend to my English students, not only for your command of language, but for the sense of London which you convey, which is really appreciated by my students, some of whom are refugees and new to this wonderful city. Very much my own feelings. I sometimes get uncomfortable with it all (as with Father’s Day), but I tend to come back to the view that every day was/is Mother/Father’s Day.